When to stop and when to read on until the bitter end? A few days ago, I began reading a book which didn’t immediately grab my attention. Like all readers, I encounter novels which work for me and some which don’t. Even among novelists whose work I love, there are books which don’t do it for me. Donna Tartt is a great example- I loved The Goldfinch and The Secret History but couldn’t – or wouldn’t – finish The Little Friend. This brings me to the dilemma. At which point does a reader decide to stop reading a book? Shouldn’t we give it more opportunity to pull us into the story? Maybe the next page will be the one where the narrative clicks, where we engage with the character, where we sink into the sofa of suspended disbelief and we are carried away on a heroic journey to a place where our feet don’t touch the ground until the last line? I have ploughed through page after page of some difficult books, grimly determined that I would read every word and get to the end, hoping that I’d change my mind. And at times it has paid off – Joyce, Dickens, Proust – I reached the final chapter, closed the book and smiled, feeling pleased that I persisted. As a kid, I used to read the books my Mum borrowed from the library, sneaking a peek at the narrative when she was busy and then accidentally reading the whole thing. Catherine Cookson, Jean Plaidy, Sven Hassel – books set in particular historical periods, usually about working class people, usually girls (or soldiers), and how they fought against gender expectations and class expectations and, due to their grit and determination, made something of their lives or were embroiled in a powerful tale. I could see why my Mum loved the escapism and the small personal victories of the characters in these books, especially against her own background. They weren’t for me, though. So when I read ‘The Dressmaker of Dachau’ by Mary Chamberlain, I was reminded of these novels, and it is probably because of Plaidy and Cookson- and my Mum- that I read the whole novel until the end. My Mum would have loved The Dressmaker of Dachau. It wasn’t my sort of novel. The main protagonist is Ada, an ambitious seamstress from working class London in 1939, and how her life changes during the war. She meets a man, she makes a wrong decision, she copes with her situation as well as possible and the usual string of events follows a naive girl with a little talent and not a lot of luck: abuse, pregnancy, imprisonment, abuse, injustice, prostitution, abuse. I never really got to grips with Ada’s character. She was so passive perhaps she didn’t have one. I assume women during this period were expected to meld into their male counterparts? 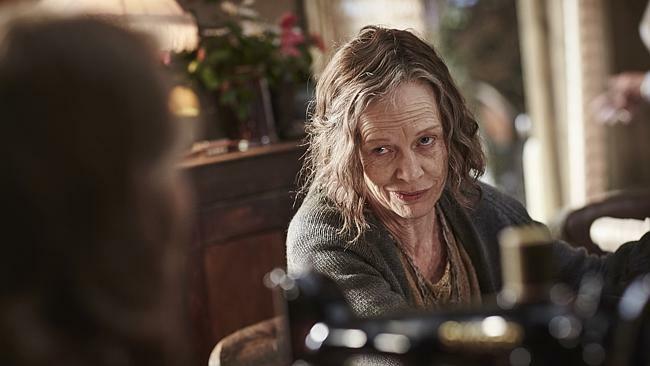 Ada survives the war and systematic maltreatment from everyone she meets, it seems, because she can sew beautiful frocks. I have a longstanding trauma with sewing, which began in school. I hate sewing and Ada’s subservience, bent, blinking and sore- eyed over a machine, trying to make everyone else look ‘modish,’ didn’t change my views. Mary Chamberlain, the author, is a great historian: she has a good factual knowledge of the period, not just in terms of events and places but also she understands the social position of women in the wartime. She uses lots of vernacular to create the flavour of the people and the era and perhaps it was her evoking the characters and their setting which alienated me, all the Germans and the working class English seldom straying from the stereotype. My Mum would have loved the way Chamberlain writes: War marched with hobnail boots, left, right, left, right. Stanislaus laughed, a cruel mocking ha ha. She had never known him like this. The Dressmaker of Dachau was a fragmented story which never pulled me in. The narrative was well-paced but I never engaged with the style, nor did I have empathy with Ada, whom I never got to know any better by the end of the book. Much of the story is told to the reader, rather than shown, and there is little internal monologue which might have enabled the reader to empathise more with Ada. How long would this war go on? She scored off another month on her calendar under the table. March 1944. She had been in this house for over two years. I wanted to know what Ada felt, to feel what she was feeling beyond the hunger and hardship, to really get to know her, but that never happened. She slides into prostitution and even into the terrible events which occur to her at the end of the novel with a kind of passive acceptance. A bit of the Cookson grit and pluck, the ability to fight back and change events rather than to go under, was what I’d hoped for. However, Chamberlain’s book is a tragic one: Ada is something of the working class everywoman my Mum would have believed in – ambitious and beautiful who is reduced to a victim and a plaything by two evil and abusive con-men, both of whom were not English. I read to the end and gave it every chance. This book didn’t deliver what I wanted in a heroine or in a narrative.It was not for me. My Mum would have nodded sagely at the fate of poor Ada. Too often, Ada lay back and thought of Britain when she should have punched the bloke in the face and run away. Maybe that is the moral of the story- women like Ada couldn’t escape the constraints of gender and class and, in wartime Britain, perhaps that was sometimes the case. But I wanted a heroine with more to her than a sewing machine, a fancy frock and a ridiculously optimistic trust in men, offered from the vantage point of lying on her back. I probably didn’t need to read to the end to realise that poor Ada’s sad story was not my sort of novel. I think there are readers out there who will relish the historical setting and enjoy the tragedy of a slim and beautiful seamstress who dares to have an ambition beyond her class. Ada is a tragic figure, a melodrama queen, tied to the railway tracks of her gender and class while the moustache-twirling villains ride off into the distance laughing. 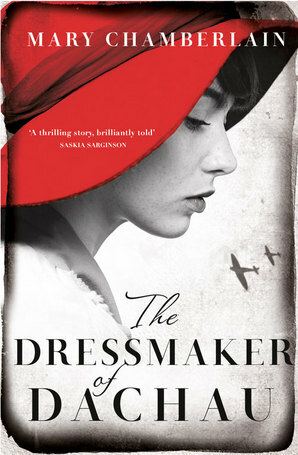 Rosalie Ham’s The Dressmaker is a novel with a similar theme – a woman who sews sassy dresses and wants to improve her life despite being enmeshed in tragedy – but it is much more satisfying, written with panache, the mischievous and raunchy Tilly planning her explosive escape from behind the treadle. Juxtaposing Tilly with Ada puts it all in perspective. Ada’s Mum tells her not to ‘darken her doorstep’ again. Tilly’s Mum is Mad Molly, with a bad reputation all of her own, and Tilly rescues her. One is a fighter and the other is beaten down, a victim of misplaced trust, ignorance and misogyny until the final page. Out of the two, I prefer heroines to behave with a little more anarchy and disobedience, to rise above gender or class expectations and to think and act outside the box! I’d rather be a Tilly than an Ada but, more importantly, I would rather read about a Tilly than an Ada.